The challenge drew more than 730 competitors from Cherry Creek Schools, the public school district serving Arrow’s headquarters location in southeast metro Denver. Arrow employees served as volunteers and judges for the event, which included cash prizes for winning entries. 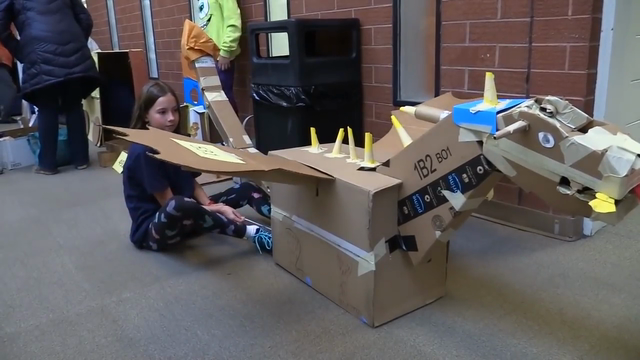 This year, Arrow also supported the Cardboard Challenge Club, a new after-school activity for more than 300 students designed to encourage participation in the contest and provide assistance with projects. The effort attracted more students to the challenge and resulted in representation from all of the district’s schools. “The Cardboard Challenge inspires students to push boundaries and explore engineering in a creative way. We’re honored to have Arrow support our efforts to expand this opportunity to more students and nurture the next generation of innovators,” said Jill Henden, executive director of the Cherry Creek Schools Foundation.